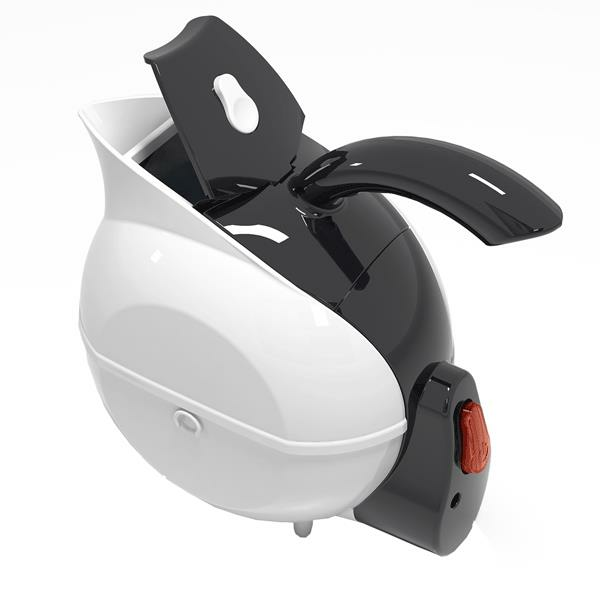 Uccello Electric Kettle and Tipper is an all in one appliance, its features have been carefully designed and crafted to help people with restricted mobility and limited strength. 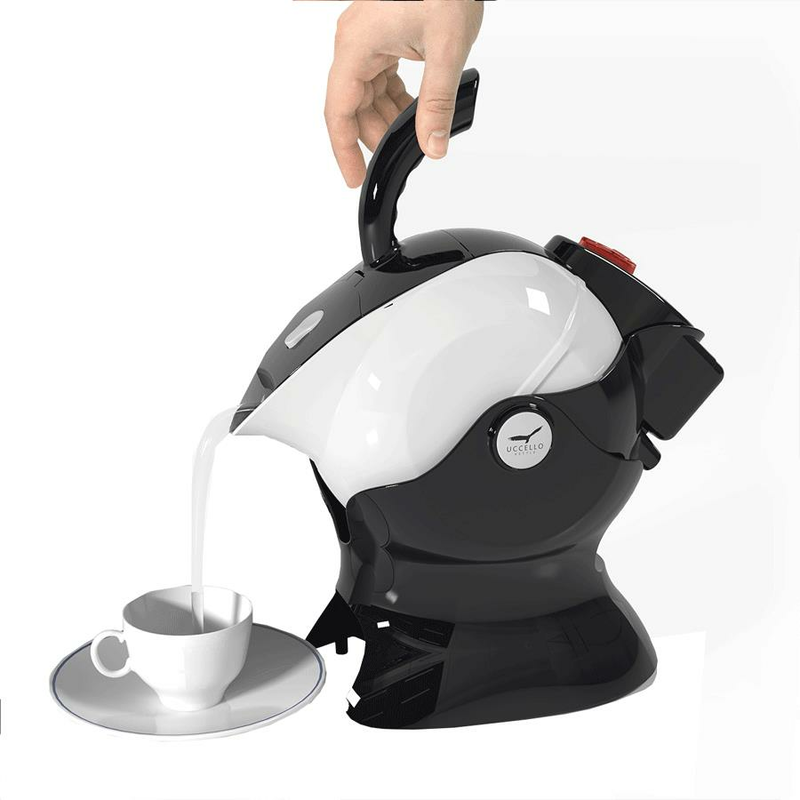 The effortless power-steering pouring action of the Uccello Kettle was designed using the unique PowerPour technology. 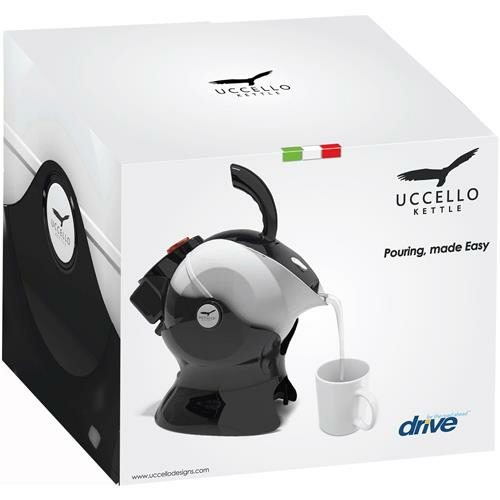 The Uccello features an ergonomic handle for a comfortable, stable grip and pour action. 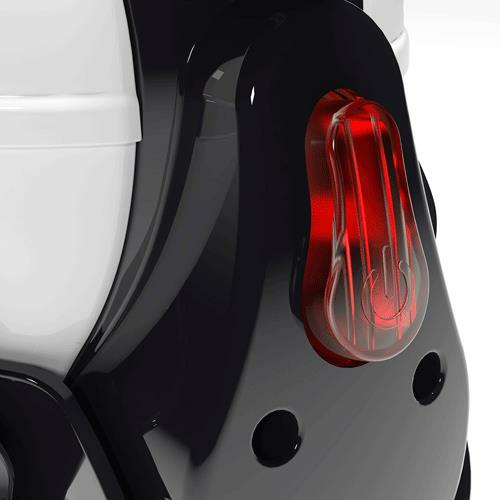 The easy to read water level indicator allows user to boil exactly the amount they need. Wipe the housing with a mild detergent and damp cloth. Remember to clean the filter with a mild detergent and damp cloth at intervals. The filter can be detached for easier cleaning simply by pulling it out. To attach, insert the filter into the support dent. 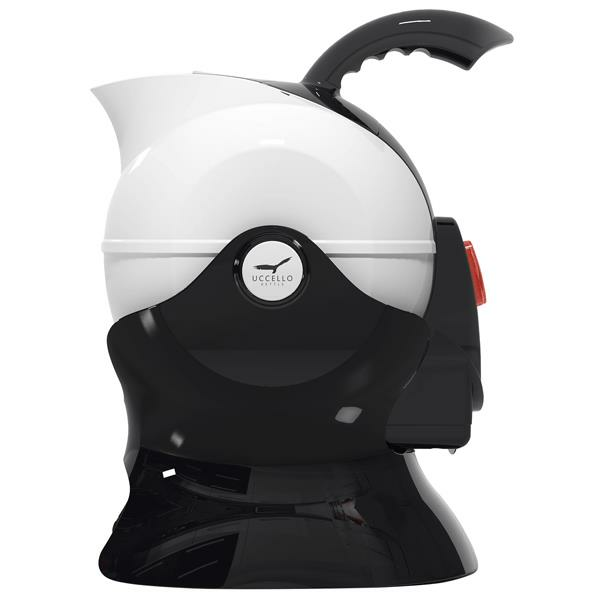 When not in use or storage, the power cord may be wound around the cord storage under the bottom of Kettle. You can help protect the environment. Please remember to respect the local regulations: Hand in the non-working electrical appliance to an appropriate waste disposal centre.